You can increase your chances of getting a job onboard a yacht if you can demonstrate that you are knowledgeable about the different types of yachts on the water. Most employers are looking for crew who have some familiarity with yachting and yachts. 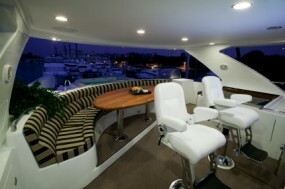 Yachts are classified for a variety of reasons and by a few different organizations. For the most part, yachts are classified to save money on insurance premiums and to ensure that the highest standards are used to build it and maintain it. Classification also means that yachts are built more consistently and according to universally accepted codes of quality and safety.